Normally when you think of a medical emergency you think of a broken limb or possibly a very deep cut that will require a trip to the emergency room. But what do you do when your emergency has to do with your teeth? Depending on what has happened you may be able to avoid going to the emergency room and head to your family dentist office. Below we have listed some common dental emergencies and what to do in each scenario. What to do if you knock out a tooth. If you have knocked out one of your teeth the best course of action is to first find the tooth. Rinse the tooth of any debris that may be on it but be careful not to remove any tissue that could still be connected. If you can, try to place the tooth back into the socket where it was dislodged. It is important to make sure the tooth is facing the right direction. Never try to force the tooth though. If the tooth cannot be placed back in the socket, soak the tooth in a cup of milk or a cup of water with a little bit of salt added. For the best chance of saving the tooth it is advisable to see the dentist within an hour of losing your tooth. What to do if you you break a wire on your braces. First, make sure that the wire is not uncomfortable or poking you in the gums or cheek. Bend the wire to reposition it to a more comfortable position. You can use a small pencil eraser to cap the sharp end of the wire. If this is not possible you can use gauze, a cotton ball, or even orthodontic wax to try to cover and protect the sharp part of the braces until you are able to see your dentist for repairs. First, try to take any piece that has broken off and rinse it with water. It is important to try to save any broken pieces. If your tooth is bleeding you can apply pressure and gauze to the area until the bleeding stops. To ease the pain, try to use ice on the cheek outside the area of the broken tooth. This will help eliminate any swelling also. If you are able to safely you can take some over the counter pain medication to ease the pain. Schedule an appointment with the dentist at the next possible opportunity. 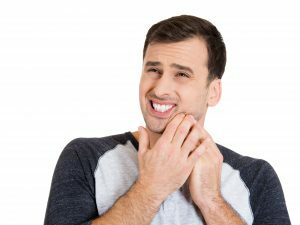 What to do if you have an abscess? A tooth abscess is caused by an infection deep in the root of your tooth. If left untreated you run the risk of losing your tooth. Call to schedule a dentist appointment if you believe you may have an abscess. Regularly rinse your mouth with saltwater until your appointment to keep the area clean. A medical emergency can be scary and even more so if it involves your teeth. The experts at Preserve Parkway Dental are here to help with any emergency that may happen. Visit our website to see a wide list of services that we are able to offer. Call today to schedule your appointment.